Dec. 07, 2018, 4:30 p.m.
District Attorney Larry Krasner’s office is seeking to reverse a plea deal that garnered sharp criticism last month after a internal review identified numerous mistakes in how the case was handled. A motion filed in the Court of Common Pleas on Friday would vacate the a plea deal Krasner’s office approved in November with 29-year-old Jovaun Patterson, who pleaded guilty to shooting a West Philly beer deli owner during an attempted robbery. Prosecutors dropped attempted-murder charges against Patterson and negotiated a deal for 3 ½ to 10 years in state prison. Critics called the deal lenient and an insult to the crime victim, who wasn’t consulted before the plea. Now, the office is asking a judge to vacate that deal and return to negotiations. “There’s no doubt that this is unusual step, but [the plea deal] was not reflective of our policy and how things should be done,” said DA spokesperson Ben Waxman. 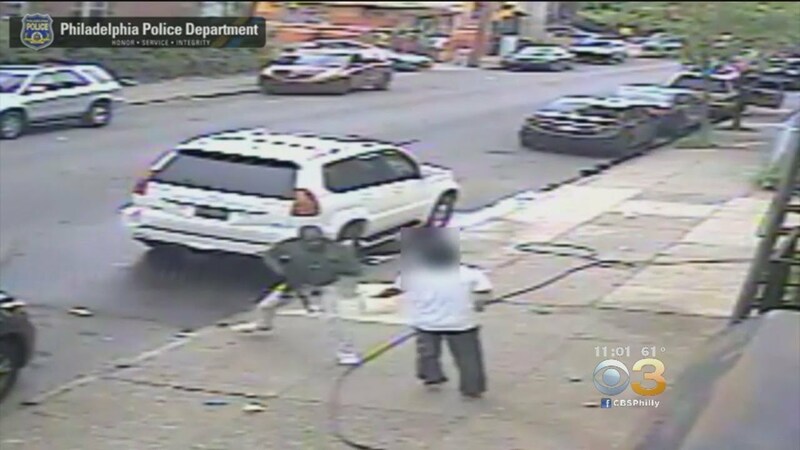 In May, Patterson, armed with an AK-47, walked up to Mike Poeng outside his store at 54th and Spruce Streets as the business owner was washing his car. Patterson can be seen on surveillance footage trying to push Poeng into his store, but the victim managed to fend him off. After a lengthy struggle, Patterson shot Poeng once in the hip — and then fled. Poeng, 50, told the Inquirer last month that he was stunned by the deal that would make Patterson eligible for release in three and a half year’s time. The shooting left Poeng critically wounded, and yet no one from the DA’s office had contacted him before the deal was struck. Court records indicate Patterson had prior misdemeanor convictions, but this case marked his first conviction for a violent offense. He had also previously been charged with firearms offenses for which he was not found guilty. His attorney, Philip Steinberg, could not be reached for comment on Friday afternoon. Krasner’s office initially defended Patterson’s sentence, while apologizing for failing to contract the Poeng. But a subsequent review of the deal found that the prosecutor assigned to the case failed to have the deal approved by supervisors, Waxman said. But Assistant DA Lori Edelman, the prosecutor assigned to Patterson case, did not notify Poeng prior to striking a deal with his attacker, the DA’s office acknowledged. In the first year as the city’s top prosecutor, Krasner’s sweeping reforms have included an about-face on plea deal negotiations, urging his ADAs to seek sentences on the low-end of the state’s sentencing guidelines. But the office has also faced intense scrutiny over its sensitivity towards crime victims. The DAO’s own policy also requires supervisors to sign off any plea deal negotiated in which serious physical injury was sustained by the victim. Edelman failed to do that as well. Edelman’s tenure began before Krasner took office. She joined the DAO in May 2014 and has been handling felony cases in the jury trials division since 2016, according to her LinkedIn profile. Neither Waxman nor Erica Rebstock, Edelman’s supervisor in the jury trials division, would confirm whether the ADA would face any disciplinary action over the errors. Edelman remains assigned to the Patterson case. Waxman said the DA’s office notified the victim Friday that the office would seek a new plea deal.